As LDA previously reported (News in Brief, September 2011),the U.S. Department of Education Office of Special Education Programs (OSEP) issued informal guidance in June 2011 representing a new interpretation of the IDEA local “maintenance of effort” requirement (MOE). The guidance letter said if a school district did not spend all its federal IDEA Part B funds during one fiscal year, its “maintenance of effort” would be reduced in the next fiscal year to the level of the previous year’s actual expenditure. In other words, a school district would have been rewarded if it did not spend its full allotment by only having to meet the lower actual expenditure the following year. This response is presented as “informal guidance and is not legally binding, but represents the interpretation by the U.S. Department of Education of the IDEA in the context of the specific facts presented.” Further, the letter states the Department intends to seek public comment on this issue. 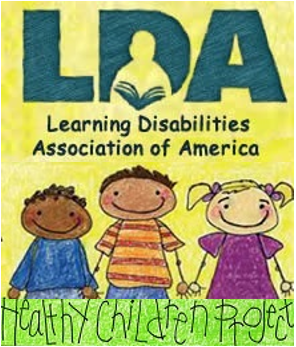 LDA will respond and will encourage state LDA affiliates to do the same in order to ensure OSEP maintains the original interpretation of the IDEA MOE provision. House Republicans and Democrats have introduced bills to reauthorize the Workforce Investment Act (WIA). WIA, last reauthorized in 1998, also contains the Adult Education and Family Literacy Act (title II) and the Rehabilitation Act Amendments of 1998 (title IV). With continued concerns about unemployment, dislocated workers, and the need for a skilled workforce, WIA may have a chance of moving forward in this Congress. Representative Virginia Foxx (R-NC), chair of the Higher Education and Workforce Training subcommittee of the House Education and Workforce Committee, and Representative Buck McKeon (R-CA) introduced the Workforce Investment Improvement Act of 2012 (H.R. 4297), essentially combining three previously released Republican bills. This bill consolidates 27 current federal workforce programs into a single $6 billion Workforce Investment Fund, which would be allocated by a formula to states and localities. Several bill provisions address individuals with disabilities. The bill encourages states to set aside 18 percent of their Workforce Investment Fund to create State Youth Challenges Grants. The new program would restructure youth workforce development programs to include a better focus on attainment of a high school diploma and postsecondary credentials and would target special populations, including youth with disabilities. The bill requires state and local workforce investment boards to describe how they will serve employment and training needs of individuals with disabilities and stipulates local boards must work with the disability community to make comprehensive, high-quality services available. In addition, the bill sets common performance measures for WIA and adult education and Vocational Rehabilitation programs. Requires coordination between VR and services provided under the Assistive Technology Act. Includes in the state plan an assessment of the transition services provided through the VR system and how those services are coordinated with services under the Individuals with Disabilities Education Act (IDEA). Includes in the state plan strategies the state will use to address the needs identified in the assessment of transition services described above. Requires states to reserve 10 percent of their formula grant funds to provide transition services to students with disabilities served under IDEA as they prepare to move out of school to postsecondary education, employment, or independent living. Requires states to use one-half of one percent of their VR State Grants funding to award grants to businesses in partnership with other entities to create practical job and career readiness and training programs, and to provide job placements and career advancement. Consolidates the Projects with Industry and State-Supported Employment Services programs into the existing VR State Grants program. Repeals the In-Service Training of Rehabilitation Personnel and Recreational Programs. Several House Democrats on the Education and Workforce Committee–representatives George Miller (CA), Ruben Hinojosa (TX), and John Tierney (MA)– have introduced the Workforce Investment Act of 2012 (H.R. 4227). The bill authorizes most existing WIA programs through Fiscal Year 2016 and supports new investments in sector partnerships, career pathways models, and other job training strategies to better connect employers and jobseekers. H.R. 4227 adopts President Obama’s proposed Community College to Career Fund, which would provide $8 billion to the Departments of Labor and Education. These funds would support competitive grants for career training to partnerships of community colleges and businesses, “pay-for-performance” and “pay-for-success” grants that reward state or local entities for achieving specific workforce goals, and grants for entrepreneurship and small business training. The bill also codifies the Workforce Innovation Fund and incorporates a set of common measures across all core programs. Establishes competitive integrated employment as the goal for vocational rehabilitation services. 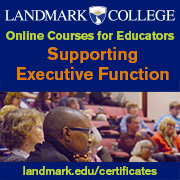 Expands services for supported employment and customized employment for individuals with disabilities. Requires states to provide pre-employment transition services for youth with disabilities and establishes national and local transition coordinators to facilitate those services. Increases outreach to employers for hiring individuals with disabilities. Codifies the Office of Disability Employment Policy at the Department of Labor. It is expected that the House Education and Workforce Committee will take up the WIA reauthorization in late spring or early summer. Possibly the bill will come to the House floor soon after committee consideration. It is unlikely the Senate will take up the House bill, so the final fate of this effort in the current Congress is uncertain. The federal Fiscal Year 2013 (FY 2013; School Year 2013-14) budget process began with the release of the president’s proposed budget in mid-February. The next step is agreement on a budget resolution which determines how much money will be available to the appropriations, or spending, committees to fund programs in the coming year. The House issued the opening salvo with passage of an austere budget resolution, and the Senate is still deciding its next move. The budget passed in the House of Representatives would make deep cuts to almost every government program except defense. The budget, sponsored by Rep. Ryan (R-WI), chairman of the House budget committee, reduces the cap on discretionary spending by $19 billion below the $1.047 trillion level agreed to last summer in the Budget Control Act (deficit reduction law). The budget document increases defense spending to $554 billion in FY 2013, with the ripple effect of a $27 billion or 5.4 percent aggregate cut for all non-defense discretionary spending. This includes education, health, human services, environment, transportation, housing, and funding for all other federal agencies. In fact, the Ryan budget is pretty straightforward. It calls for drastic cuts in non-defense discretionary spending and a large increase in defense spending. By FY 2021, the House bill would call for cuts in discretionary spending 23 percent deeper than the Budget Control Act spending cap, while spending on defense would begin to increase above the statutory limit. Under the House budget, Medicaid would become a block grant with limited funding to states and a cut of $810 billion over 10 years. According to an analysis by the Urban Institute, by 2021 the Medicaid cuts would be so severe that if implemented solely by reducing the caseload, between 14 and 27 million people would be dropped from the program. The bill also cuts $1.9 trillion from other mandatory programs, including Supplemental Security Income (SSI), unemployment insurance, refundable tax credits like the Earned Income Tax Credit and Child Tax Credit, Temporary Assistance for Needy Families (TANF), and Pell Grants for higher education. In the meantime, the appropriations committees have already begun hearings on their FY 2013 spending bills. The bottom line is that FY 2013 is shaping up to be a very difficult budget year. LDA again will collaborate with the Substance Abuse and Mental Health Services Administration (SAMHSA, U.S. Department of Health and Human Services) to celebrate National Children’s Mental Health Awareness Day. This year’s events take place on May 9 and are part of SAMHSA’s “Caring for Every Child’s Mental Health” public awareness campaign. The broader campaign began in 1994 with the purpose of stimulating support for a comprehensive system of care approach to children’s mental health services. In 2005, SAMHSA initiated a specific Mental Health Awareness Day, with cross-disciplinary activities that are now year-round. 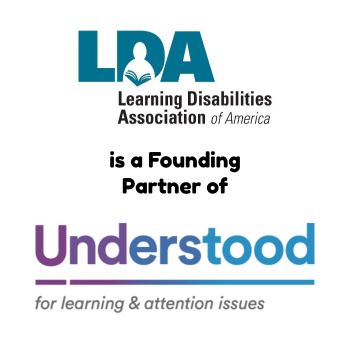 LDA has been a “collaborating organization” for the last three years. This year’s theme for Awareness Day focuses on children ages birth through 18 who have experienced traumatic events. Childhood exposure to traumatic events is a major public health problem in the United States and can include witnessing or experiencing physical or sexual abuse, violence in families and communities, loss of a loved one, refugee and war experiences, living with a family member whose caregiving ability is impaired, and having a life-threatening injury or illness. It is estimated that 26 percent of children in the United States will witness or experience a traumatic event before the age of 4 years. Research has shown that exposure to traumatic events early in life can have many negative effects throughout childhood and adolescence, and into adulthood. While trauma is the specific theme, SAMHSA is also encouraging Community Conversations about children’s mental health in general, a pilot project particularly targeted to people who might not otherwise engage in such conversations. Certainly many people may not be aware that mental health issues affect children, youth, and adults with learning disabilities, and these conversations would be an excellent way to open a dialogue. SAMHSA has materials available to individuals who wish to start these conversations (http://www.samhsa.gov/children/cc_home.asp). In addition to events around the country, Awareness Day culminates with a large national event in Washington, DC, on the evening of May 9. The event will highlight stories, some through artistic expression, of youth who have experienced trauma. Several celebrities will join the festivities, as well. LDA is very proud to be part of this important endeavor again this year.